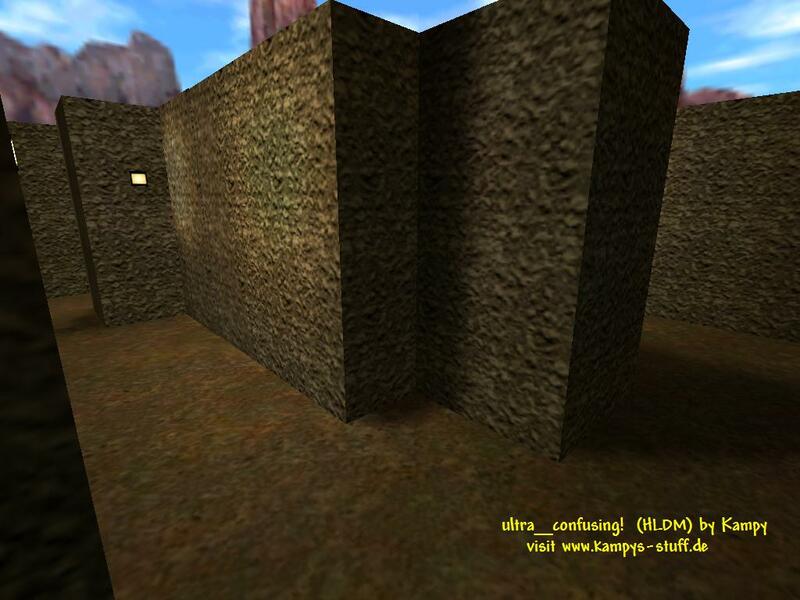 Ultra Confusing is a maze type map. The labyrinth consits of hedges which all have the same texture so you will get really confused when running around. This map is kind of a second version of "very_confusing!". The difference between ultra- and very confusing is that ultra confusing is much bigger so you can play it with a lot more people and there is a part of the map which looks different from the normal labyrinth look there is a house and a sniper tower. Both the house and the tower look very simple and newbie like (well I was a mapping newbie when I made this). When you play the map there is a certain shock effect when you run into an enemy. I recommend you play "very_confusing!" 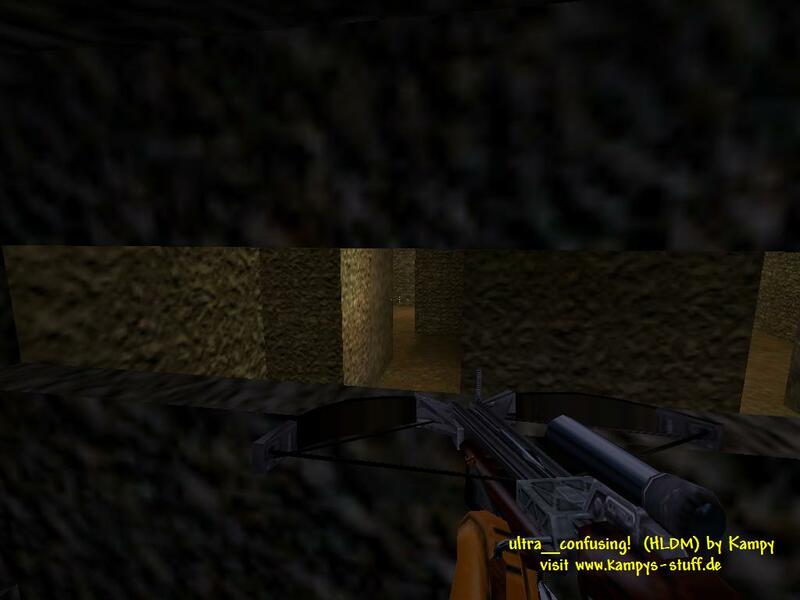 first and when you know it by heart and you want the shock effect again then download "ultra_confusing!" or if you have a huge croud and "very_confusing!" is too small then also try this one. Another difference to the original map is that there are heavier weapons in it like the gauss and the bazooka. 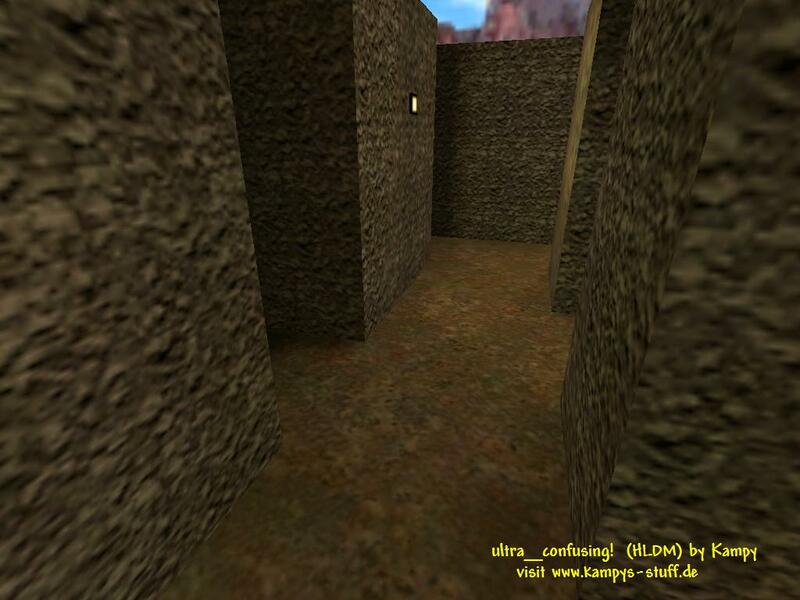 This is a map for extreme maze fans who wanna play with a large croud. - tripmines are very effective in this map!